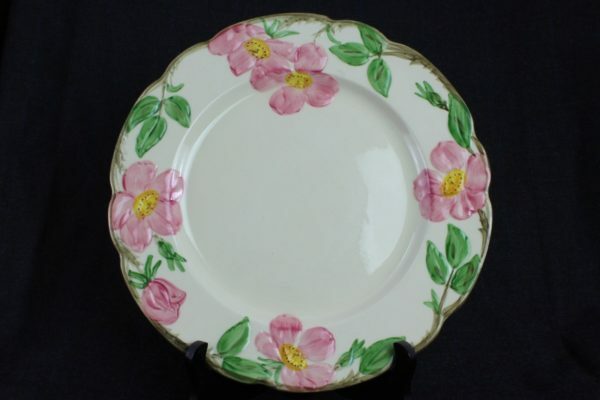 Home / Shop Online / Porcelain & China / Franciscan Desert Rose 10.5″ Dinner Plate California Usa 1949-63 Marks! 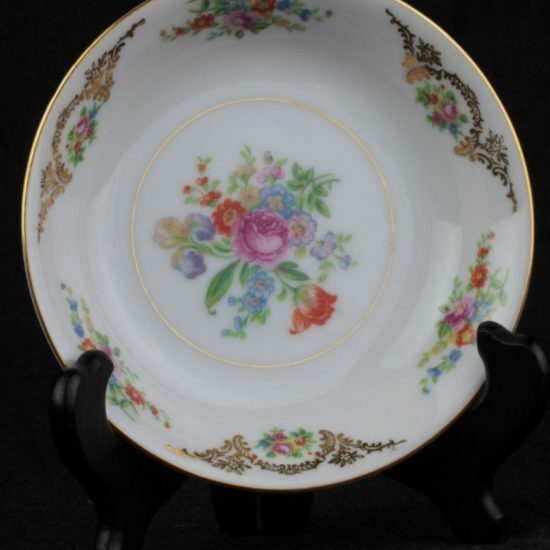 Franciscan Desert Rose 10.5" Dinner Plate California Usa 1949-63 Marks! 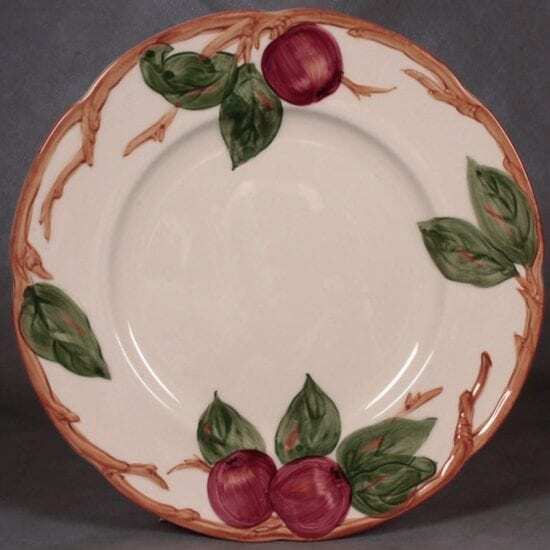 Whether you grew up with Desert Rose Franciscan Ware, collect and enjoy using it now, or both, then you know you’ve come across a special listing in this original 1949-63 example of a Desert Rose dinner plate! 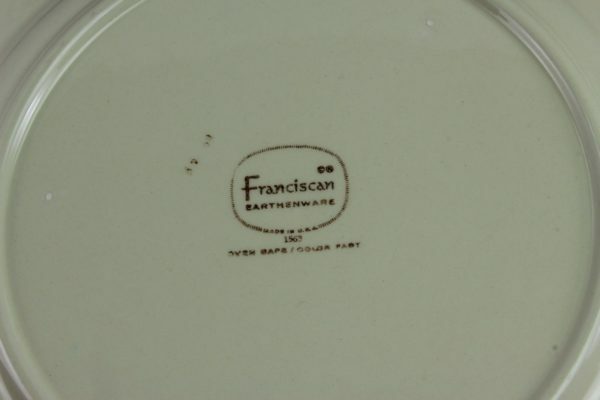 We recently acquired a large collection of Franciscan Ware from a local estate. 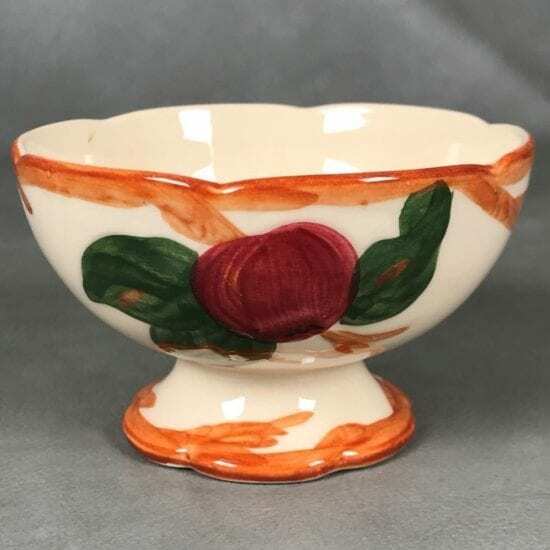 The husband and wife bought their first Desert Rose pattern dishware in the late 1940s when they married, and continued to add pieces over the next five or so years. They are now moving and downsizing their collection, so we have the opportunity to make this single-owner dinnerware available to you! “Beginning in 1875, as a partnership between Charles Gladding, Peter McGill McBean, and George Chambers, Gladding, McBean & Co. would expand from one factory in Lincoln, California to multiple manufacturing plants throughout the Pacific West Coast producing clay products from sewer pipe to architectural terracotta…. Due to the economic collapse of 1929, Gladding, McBean & Co. saw its revenue decreasing due to the cessation of new construction, the main source of the demand for its ceramic products: roofing tile, sewer pipe, architectural terracotta, and brick. 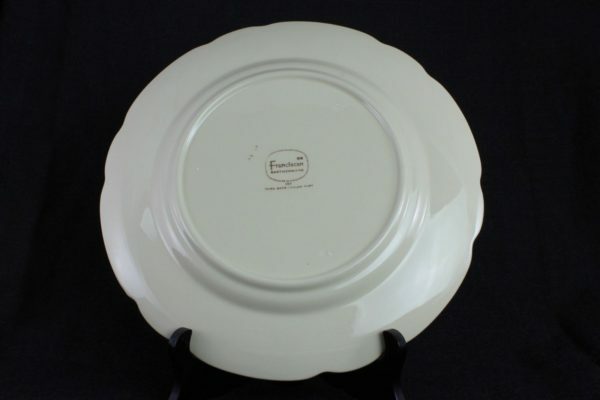 To offset the loss of revenues from the sales of ceramic building materials, the Company began the manufacture of earthenware dinnerware and art ware in 1933…. 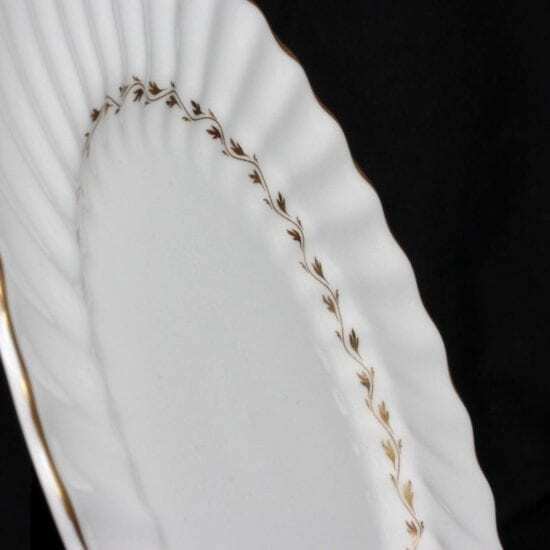 The Desert Rose pattern has been in continuous production since 1941 (except during WWII), and it is the most popular pattern of dinnerware in American history! With so many pieces in production, serious collectors look for the oldest examples in the best condition – and this plate is both! 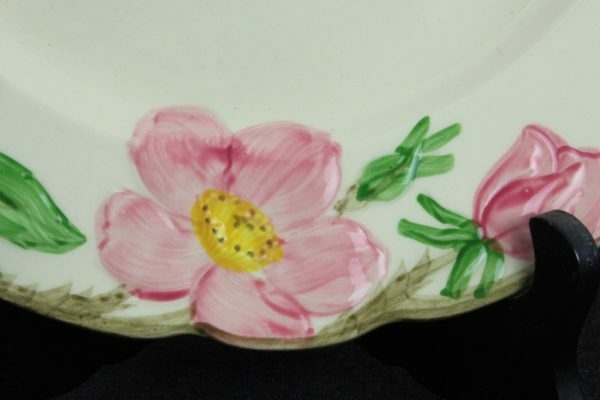 This large dinner plate measures 10 5/8” in diameter, 7/8″ in height, and is cream in color with a hand-painted green stem border with desert roses in bloom. The quality of these designs varied according to the skill of each artist, and this one is beautifully done! 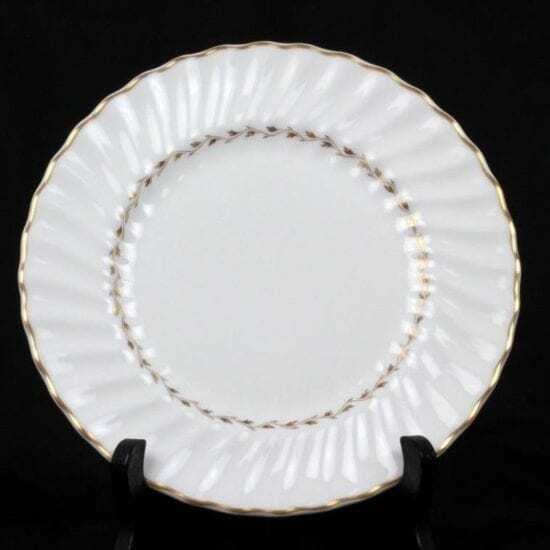 The plate is in very good antique condition, with no chips, cracks, or repairs and only some surface abrasions typical of normal use. We have a total of four plates for sale (the Buy It Now price is per plate), with one having the 1949-1953 mark, one having the 1958-1962 brown TV screen mark with “GLADDING, McBEAN & CO” and “MADE IN U.S.A.” in the border, and and one having the 1963 brown TV screen mark with only “MADE IN U.S.A.” in the border. If you prefer one mark over another, please check with us before making your purchase (to make sure we have it in stock) and we’ll be happy to oblige. If you’ve been searching for just the right Desert Rose-pattern plate for your collection, then you can rest easy knowing that your search is at an end! Buy this now before it goes to someone else’s home! Note: White highlights on the item are just reflections in the glaze from the camera’s flash.